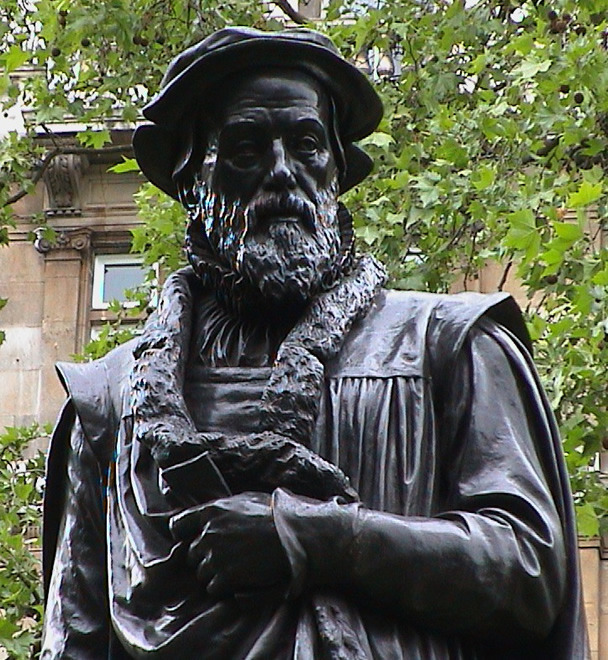 WHOLE TEAM – WHOLE LABOR – SCAPEGOAT TRADITION: THIS BLOG POST IS RESPECTFULLY DEDICATED TO THE MEMORY OF WILLIAM TYNDALE(1494-1536), ENGLISH RELIGIOUS REFORMER, TRANSLATOR OF THE BIBLE AND A PROTESTANT MARTYR. HE COINED THE PHRASE “SCAPEGOAT” IN 1530. WHOLE TEAM – WHOLE LABOR – SCAPEGOAT TRADITION: VERY EXCITING NEWS FOR ALL ‘WHOLE TEAM’ MEMBERS. I HAVE CHOSEN MYSELF AS THE OFFICIAL “SCAPEGOAT” OF THE ‘WHOLE TEAM’. MEMBERS CAN SAFELY AND SECURELY LAY THE BURDEN OF BLAME AND SIN UPON MY HEAD AND I WILL DELIVER THE SIN IN A DESERT AND DISPOSE OF ALL YOUR FEARS AND WORRIES TO ENSURE YOUR HAPPINESS AND EXCELLENCE. As a ‘Whole Team’ Member, my primary concern is about your Happiness and Excellence at your Workplace. But, we have to accept the realities of life. In common usage, the word ‘Sin’ refers to the blame attached to any behavior or action that is not acceptable to established standards. At the Workplace, there are over one hundred rules of conduct and behavior; the terms and conditions for workplace behavior and conduct are explicitly stated. It is not easy to avoid blame or ‘sin’ and earn points that will invariably lead to corrective action which may include dismissal service. My idea is not about changing workplace terms and conditions for employment. I am proposing an original plan for ‘Sin Removal’ and ‘Sin Disposal’ Service that will promote your happiness and boost up your excellence in the tasks you perform. WHOLE TEAM – WHOLE LABOR – SCAPEGOAT TRADITION: TO PROMOTE ‘WHOLE TEAM’ MEMBER HAPPINESS AND EXCELLENCE, I AM PROPOSING DESIGNATING MYSELF AS THE OFFICIAL “SCAPEGOAT” OF THE WHOLE TEAM. THIS BIBLICAL TRADITION WILL TAKE REBIRTH IN A NEW FORM SAVING TEAM MEMBERS FROM BLAME AND SIN. My proposal for ‘Sin Removal’ and ‘Sin Disposal’ Service would have the following features. 1. An Official “SCAPEGOAT” of the Whole Team, 2. An Official ‘High Priest’, a designated ‘Team Leader’ or a designated ‘Store Team Leader’ who is given the powers to “TRANSFER” the blame and sin of a ‘Whole Team’ Member and place it on the head of the “ScapeGoat”, 3. On a designated day of ‘Atonement’ or on the “Team Member Appreciation Day”, the “ScapeGoat” will be dispatched to the Desert to safely and securely dispose of all the blame and sin, and 4. 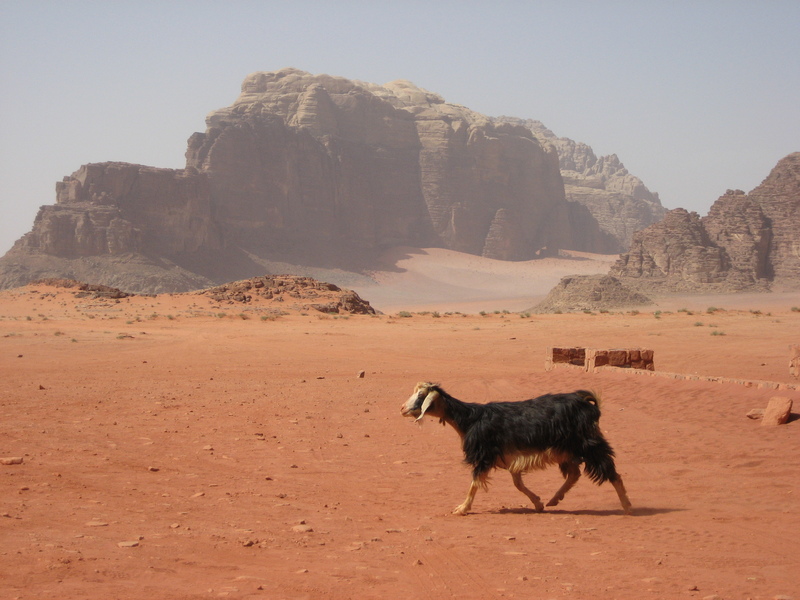 On successful conclusion of the Mission, “ScapeGoat” returns to the workplace from the Desert. 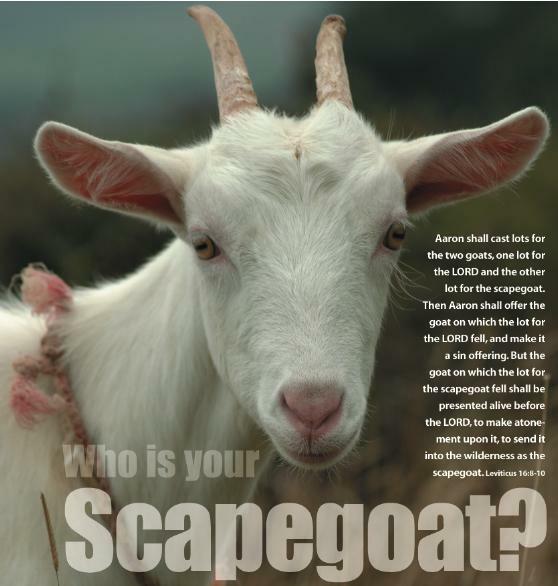 WHOLE TEAM – WHOLE LABOR – SCAPEGOAT TRADITION: SCAPEGOAT – ESCAPE GOAT IS A BIBLICAL TRADITION THAT AIMS AT REMOVAL AND DISPOSAL OF BLAME AND SIN FROM A GROUP OF PEOPLE TO PRESERVE THEIR HAPPINESS AND WELL-BEING BY SAVING THEM FROM PUNISHMENT OR RETALIATION. We have to carefully understand the Biblical principles and practices to save people from punishment and harsh retaliation for their sinful conduct and behavior. While the Bible recommends a very rigid conduct code, it uses a flexible approach while giving punishment. Bible does not always demand punitive or retaliatory action while it deals with the problem of sinful conduct. The Old Testament Book of ‘LEVITICUS’, Chapter 16, verses 7 – 26 gives a very detailed description of the practice called “THE DAY OF ATONEMENT.” Bible gives the man a second chance, a chance to atone, redeem, and save himself for his shortcomings. It is very interesting to find that Bible has devised a mechanism to transfer the sins of an individual, or even a large group of individuals and place the burden on the head of an innocent creature whose life is spared while it finds an opportunity to dispose of the sins in a place far away from the community. “But the goat chosen by lot as the scapegoat shall be presented alive before the LORD to be used for making atonement by sending it into the desert as a scapegoat(Leviticus 16:10).” Further, the Bible carefully describes the entire practice by which sin can be transferred. “He(the High Priest) is to lay both hands on the head of the live goat and confess over it all the wickedness and rebellion of the Israelites – all their sins – and put them on the goat’s head. He shall send the goat away into the desert in the care of a man appointed for the task. The goat will carry on itself all their sins to a solitary place; and the man shall release it in the desert(Leviticus 16:21-22).” It is very clear that the Bible does not intend to punish or retaliate against the scapegoat which is used for Sin Removal and Sin Disposal Service and Bible insists that the life of the scapegoat must be protected by appointing a man for the task of dispatching it into the wilderness or desert. WHOLE TEAM – WHOLE LABOR – SCAPEGOAT TRADITION: I AM APPLYING THE BIBLICAL PRACTICE OF ATONEMENT TO SAFELY TRANSFER THE SINS OF WHOLE TEAM MEMBERS ON TO THE HEAD OF A DESIGNATED SCAPEGOAT WHICH WILL CARRY THE BURDEN AND SAFELY DISPOSE OF THE SIN IN A DESERT. IN THIS ENTIRE OPERATION, THE SCAPEGOAT WILL NOT BE EXPOSED TO ANY HARM TO ITS OWN LIFE AND WELL-BEING. I am applying the Biblical Tradition of Atonement to solve the problems of our Whole Team Members at the workplace. These hourly wage-earners who making living on their labor or physical exertion deserve some help to get rid of the burden imposed by citations that they receive for violations of the workplace code of conduct and behavior. It should be understood that these violations may not qualify as State or Federal Crimes. We need a flexible approach and we need a corrective action that may include the opportunity to transfer the blame and sin to a different person and give them the second chance. My proposal for Sin Removal and Sin Disposal Service is unique and is the first of its own kind. In the entire US history, no person has ever shared my concept of protecting the happiness and excellence of Whole Team Members by simply transferring, removing, and safely disposing of the sin burden by literally using another Team Member as a “ScapeGoat.” To protect the life and well-being of the “ScapeGoat” the Sin Removal and Sin Disposal Service needs refinement of the Biblical practice. WHOLE TEAM – WHOLE LABOR – SCAPEGOAT TRADITION: TO PROVIDE THE SIN REMOVAL AND SIN DISPOSAL SERVICE, I HAVE CHOSEN THE DESTINATION FOR THE RELEASE OF THE SCAPEGOAT. 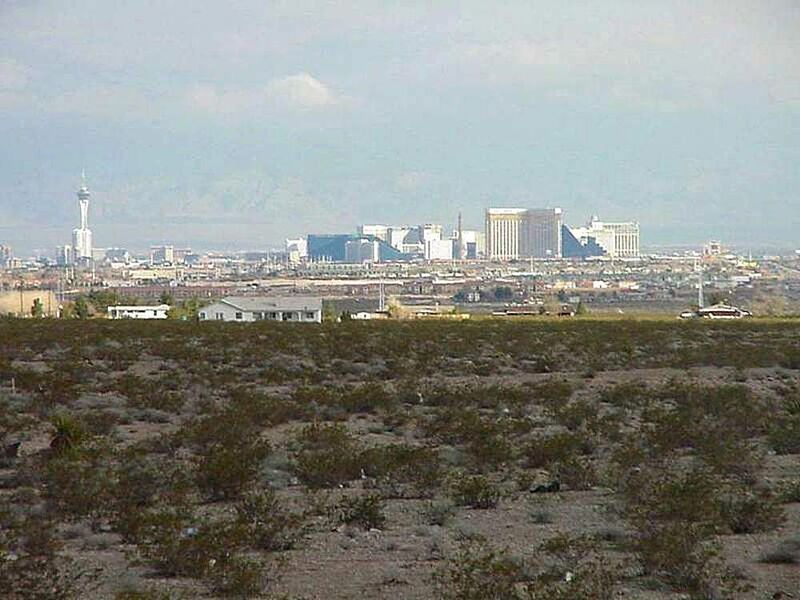 THE DESERT NEAR THE CITY OF LAS VEGAS IN NEVADA IS AN IDEAL CHOICE FOR THE EXECUTION OF THIS IMPORTANT MISSION. The Sin Removal and Sin Disposal Service using the “ScapeGoat” is a vital Mission for ensuring the productivity and efficiency at the workplace as Whole Team Members cannot find happiness and excellence if they have to shoulder the burden of sin for workplace violations of the code for conduct and behavior. At the same time, it must be realized that the “ScapeGoat” is not a sacrificial goat. I have carefully selected the desert near Las Vegas City in Nevada as the destination of the “ScapeGoat” to release its burden of sins in the wilderness. WHOLE TEAM – WHOLE LABOR – SCAPEGOAT TRADITION: I SELECTED LAS VEGAS, NEVADA FOR EXECUTING MY SIN REMOVAL AND SIN DISPOSAL SCAPEGOAT MISSION. 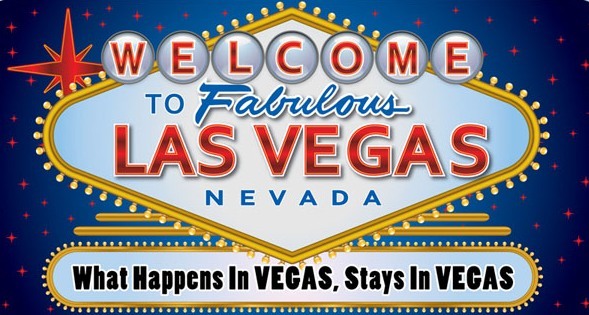 THE CITY IS KNOWN AS “SIN CITY.” SECONDLY, WHAT HAPPENS IN VEGAS, STAYS IN VEGAS. 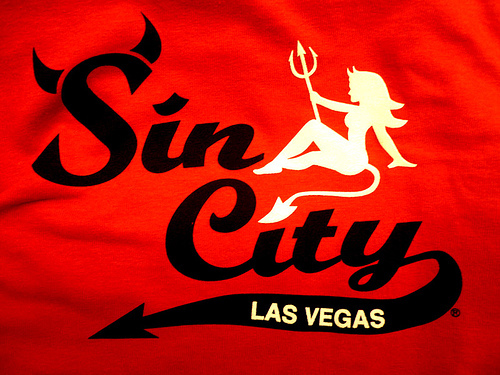 THE SIN DUMPED IN VEGAS JUST STAYS THERE FOREVER. WHOLE TEAM – WHOLE LABOR – SCAPEGOAT TRADITION: THE PHRASE “SCAPEGOAT” HAS A VERY INTERESTING STORY RELATING TO ITS USAGE.IT IS DERIVED FROM THE HEBREW WORDS SAIR+LA+AZAZEL WHICH MEANS HE-GOAT + TO + DESERT DEMON. 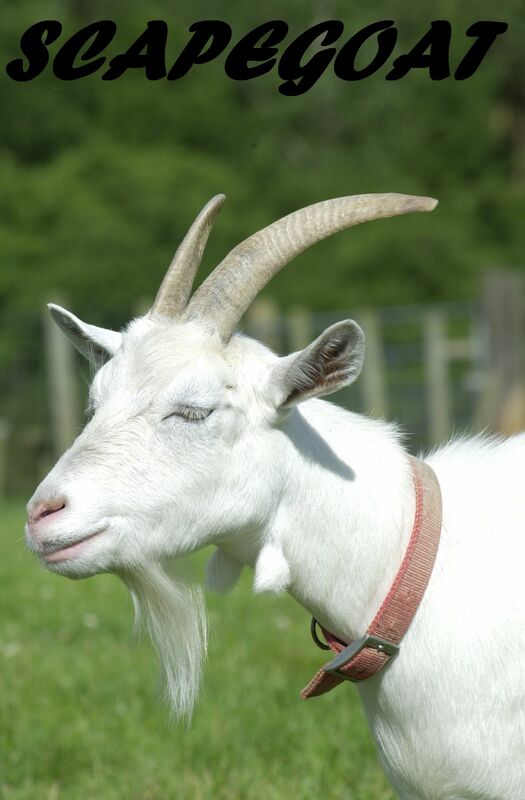 THE GOAT THAT LEAVES OR RELEASED IS ALWAYS A HE-GOAT AND IT ALSO IMPLIES THAT THE FEMALE-GOAT HAS ALREADY ESCAPED OR LEFT. HEBREW. EZ + AZAL WHICH MEANS FEMALE-GOAT LEFT. HE-GOAT IS AN EMISSARY AND IT IS RELEASED WITH THE EXPECTATION THAT IT WILL MEET SHE-GOAT AND TRANSFER THE BURDEN OF SINS. The phrase “ScapeGoat” was coined by William Tyndale in 1530. Tyndale was an English reformer and translator of the Bible. His work is the basis for the Authorized or King James Version of the Bible of 1611. But, unfortunately, he was executed for heresy in 1536. He could not get the chance or fortune to be a “ScapeGoat” and he carried the burden for the faults of the Church and its Clergy. The phrase combines Scape + Goat and it is probably derived from Latin. Caper Emissarius which means Emissary Goat, or Greek. Tragos Aperchomenos which means Departing Goat. In Hebrew tradition, the phrase is derived from “Sair Laazazel” which means a “Goat that Leaves.” But, the Hebrew word “AZAZEL” also refers to the name of a ‘Desert Demon’. In Hebrew, the phrase was coined to imply that the “ScapeGoat” is always a He-Goat and that the “She-Goat” or “EZ + AZAZEL had already left or escaped. 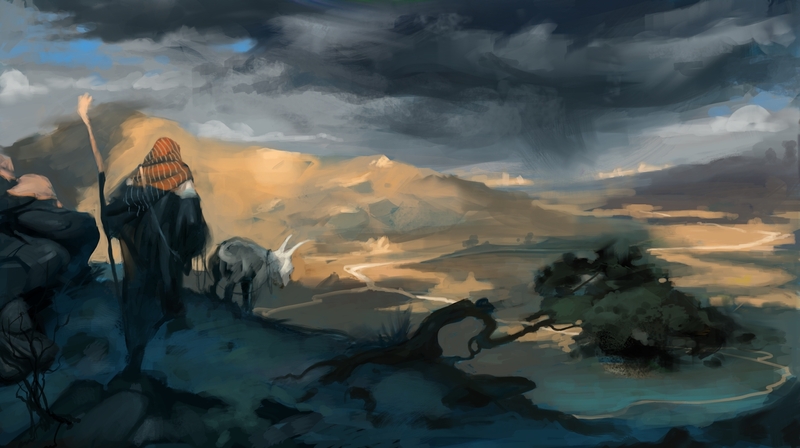 The Emissary Goat or the Departing Goat has a purpose for it is sent to the wilderness to meet “AZAZEL” the Escaped She-Goat or its transformation, a Desert Demon. There is some connection between the Escaped She-Goat and the Desert Demon. 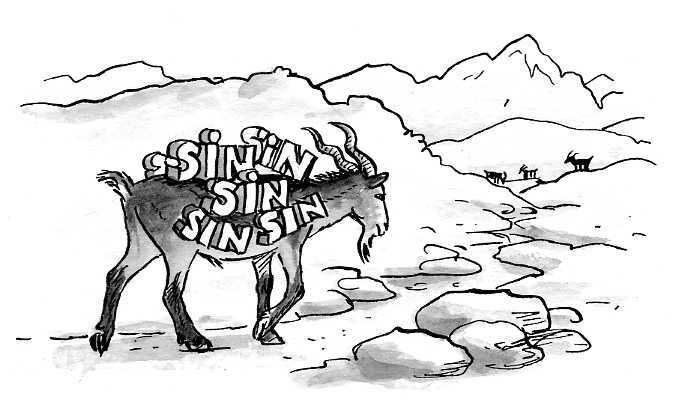 To seek atonement, the Hebrew tradition is placing the burden of sins on a He-Goat and then releasing it in the desert or wilderness where it may have the opportunity to find the She-Goat or the Desert Demon which may eventually accept the burden of Sin delivered by the He-Goat. In my view, the safe and secure Sin Removal, and Sin Disposal Service may need an unknown Desert Demon or a She-Goat or a Female Deity who specializes in disposing of the burdens of human Sin. WHOLE TEAM – WHOLE LABOR – SCAPEGOAT TRADITION: WHILE I WAS SEARCHING THE DESERT NEAR LAS VEGAS, I DISCOVERED THIS ENCHANTING DESERT CREATURE CAPTURED BY AURELIE CHEN. WWW.AURELIECHEN.COM COULD BE THE OWNER OF THIS PHOTO IMAGE. I SEEK HER PERMISSION TO SHARE THIS IMAGE FOR MY NON-COMMERCIAL USE IN THIS BLOG. WHOLE TEAM – WHOLE LABOR – SCAPEGOAT TRADITION: TEAM MEMBERS WHO VISIT THIS BLOG POST AND LIKE THE POST AND LEAVE A COMMENT WILL GET A WHOLE BOX OF WHOLE CREME COOKIES AS A WHOLE PRIZE. I am pleased to invite Whole Team Members to use the services of “ScapeGoat” and find Happiness and Excellence in their workplace. There could be some financial costs involved in the Sin Removal and Disposal Service. 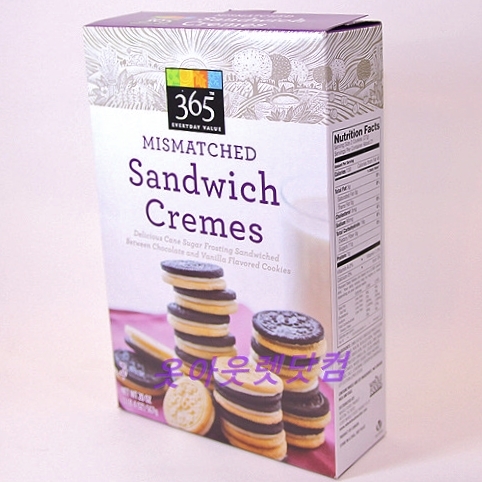 All Whole Team Members who apply for “ScapeGoat” Service will get a free box of 365 Everyday Value Mismatched Sandwich Cremes as a Welcome Gift. WHOLE TEAM – WHOLE LABOR – SCAPEGOAT TRADITION: ANY WHOLE TEAM MEMBER WHO OFFERS EVIDENCE TO SHOW THAT THIS KIND OF SIN REMOVAL AND SIN DISPOSAL SCAPEGOAT SERVICE IS AVAILABLE FROM ANY OTHER AGENCY OR ENTITY CAN CLAIM THIS US $100 REWARD. WholeDude.com claims that the Sin Removal and Sin Disposal ScapeGoat Service described in this article is original, and is one of its own kind. Any Whole Team Member who presents evidence to show that this Service is available from any other agency or entity can claim this US $100 Reward. Upon due verification, the Whole Team Member will be presented either cash or a $100 Whole Foods Gift Card.